The PurifiCup® is very simple to use. From new first of all wash the various components in normal water with a drop of washing up liquid then rinse thoroughly. Take the filter block and submerge in cold water until all the air bubbles are removed and then reassemble the unit. Here is a short video from PurifiCup® explaining the simple procedure of how to use the device when needed. At just under 11 ounces (305 grams) and smaller than a can of lager the PurifiCup® fits nicely into a backpack/daypack bottle pocket and as the video above shows, it comes complete with it’s own seal-able drinking cup so you can stop for a drink and then filter another cup of water and carry it with you. 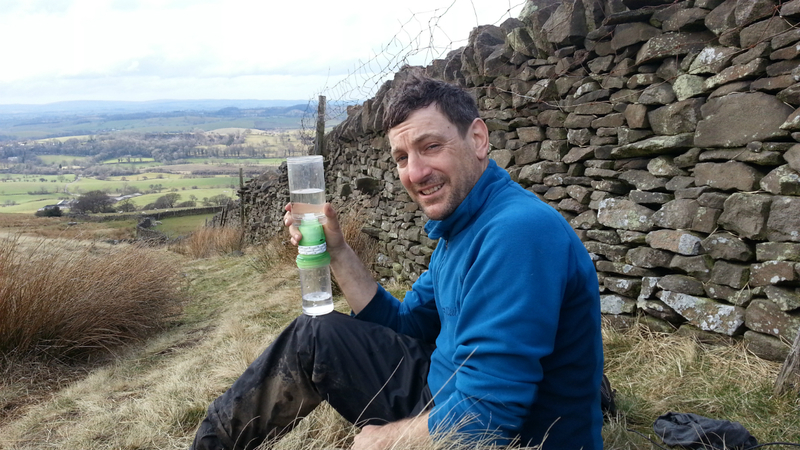 You can also filter water directly into standard drinking bottles which is very handy! Gear Reviews, Reviews, Uncategorised filter, Purificup, Water, water filter. permalink.